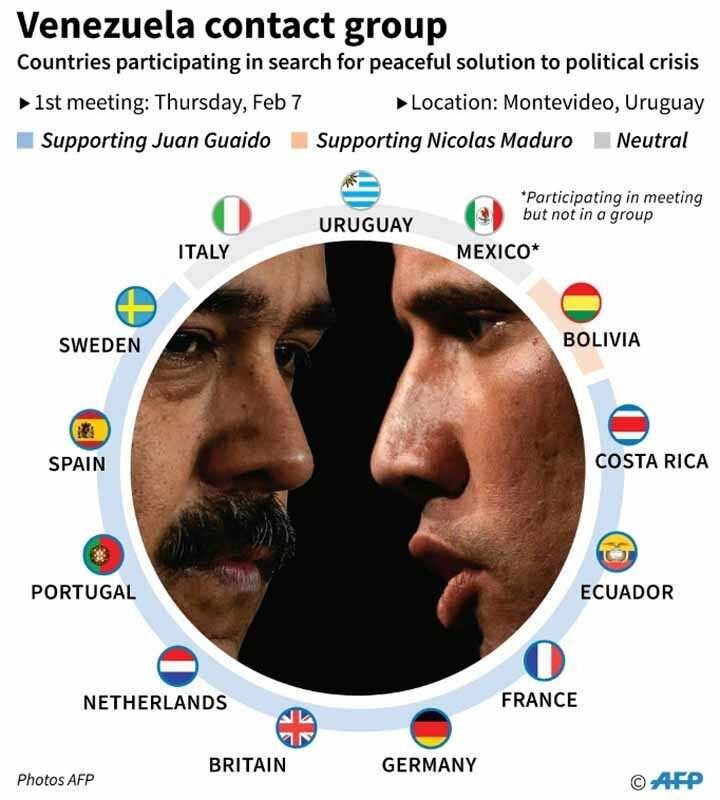 CARACAS, Feb 7: An international meeting to negotiate a solution to the Venezuelan crisis was set to open Thursday in Montevideo as President Nicolas Maduro and opposition leader Juan Guaido sparred over allowing humanitarian aid into the crisis-wracked country. On Wednesday, Maduro — having rejected an EU ultimatum on organizing snap presidential elections — welcomed the meeting and expressed support for “all steps and initiatives to facilitate dialogue”. But Guaido, who on January 23 declared himself Venezuela’s interim president and is now recognized by 40 countries, has strongly rejected any talks with the government, dismissing it as a way for Maduro to buy time. 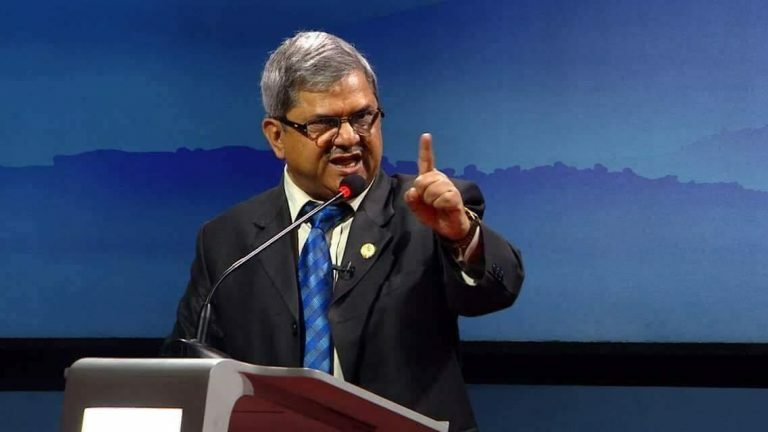 “The Venezuelan government … will not lend itself to any kind of false dialogue,” he reiterated Wednesday. US Secretary of State Mike Pompeo said Venezuela’s military was deliberately blocking the aid “under Maduro’s orders.” Washington has pledged $20 million in aid, while Canada has pledged $40 million and the EU $7.5 million. But while tensions remained at a peak, participants in Thursday’s meeting intended to “find a way between” the positions of US President Donald Trump and Russia’s Vladimir Putin, Turkey’s Recep Tayyip Erdogan and others, an EU source told AFP. On Wednesday, ahead of the meeting, Uruguay and Mexico — among the few Latin American countries that did not recognize Guaido — proposed a dialogue without pre-conditions.